Dr. Alexander Massey is a pulmonologist based in Placerville, California. He has an extensive medical experience of 27 years. He graduated in 1990 from the University of California, Davis School of Medicine. Dr. Massey completed his residency at the Brown University and did a fellowship at the University of California-Davis. He is a board-certified specialist in Critical Care Medicine and Pulmonary Disease. Dr. Massey is licensed to practice medicine in California. He is a member of the American College of Physicians. 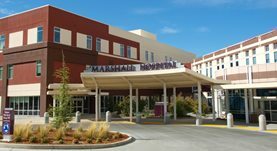 At the moment, he is affiliated with the Marshall Medical Center.